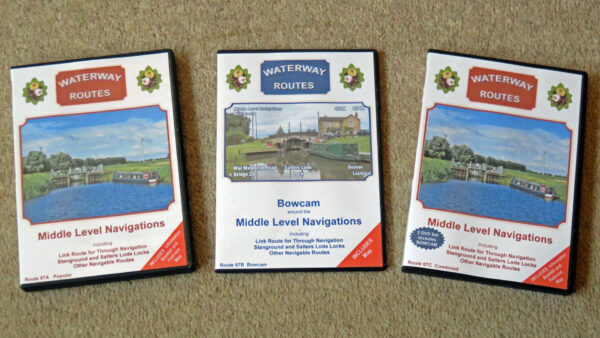 I am pleased to say our Middle Level Navigations DVDs have just been released. Middle Level Navigations DVDs.Popular, Bowcam and Combined (left to right). 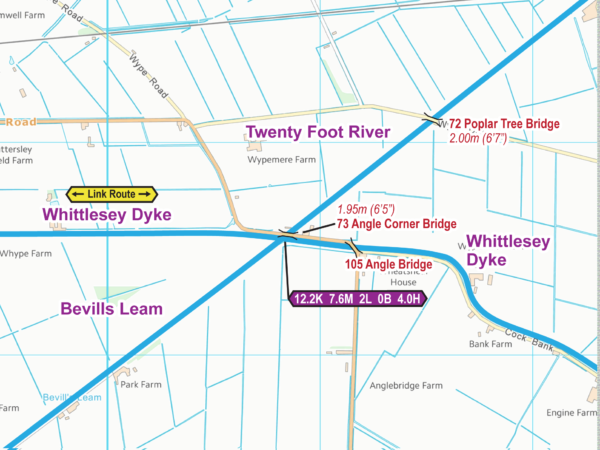 Joining the Middle Level Navigations through Stanground Lock at Peterborough, we’ll follow the link route through Wittlesey and March to reach the River Great Ouse at Salters Lode. 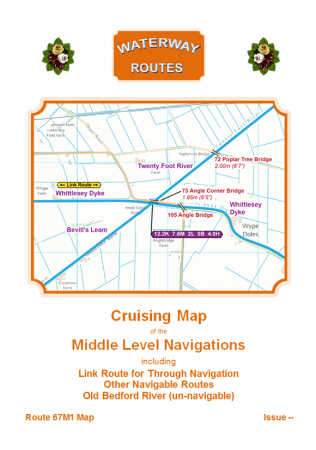 We’ll also see all the other navigations which can be cruised with a narrow boat. We’ll pass through all the locks and visit the low bridges. See if we fit under the very low Infield’s Bridge on the Twenty Foot River. The views from the Middle Level Navigations are rather different to those on other waterways, and present a novel experience. Contents of the Middle Level Navigations Combined DVD. Includes both Popular and Bowcam discs, a fold-out map and an information booklet. 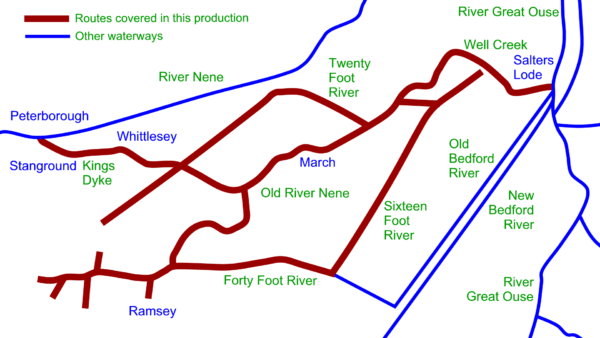 Enjoy these waterways from the comfort of your armchair. 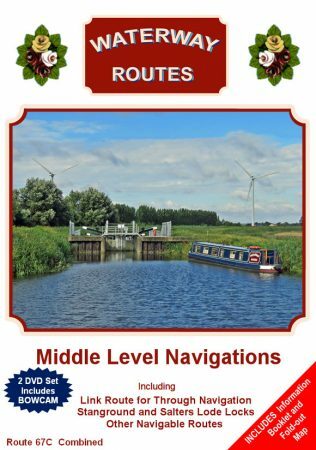 These Middle Level Navigations DVDs, or any others from our range of waterway DVDs, are great for planning your cruise, or just for fun. We also have the Middle Level Navigations Maps which are available to download in both Acrobat (pdf) and Memory-Map (qct) formats. The Middle Level Navigations Maps are also available on CD in a presentation box which makes them ideal for giving as a present. 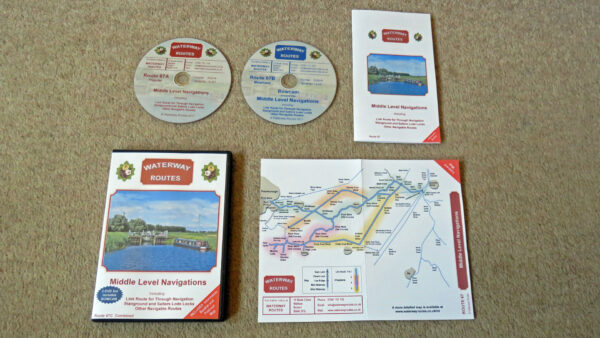 You can save 10% by purchasing a Middle Levels Navigations DVD and Map in the same transaction. This entry was posted in Middle Level Navigations, Middle Level Navigations DVDs by Paul. Bookmark the permalink.